The Sacrament of Confirmation is very special milestone for a young person. You can commemorate the special day by gifting a personalized pewter dog tag. These are especially meaningful for young boys, although the Book Mark Tag is perfect for both boys and girls. The pewter dog tag measures 1” x 2” (classic dog tag size). The pendant normally comes on a 24” steel ball chain and the bookmark on a red ribbon . Tag made of pewter in the USA! 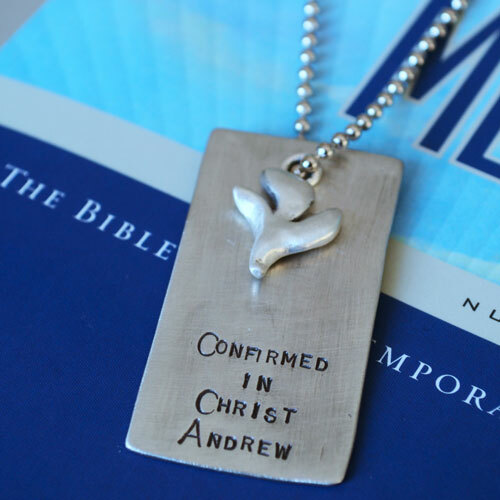 Shop now for Confirmation Gifts!